Sketchbook, Point/Counterpoint, and Coverture: 3 exhibits opening Friday, November 8th! Join School 33 on Friday, November 8th from 6PM – 9PM for the opening of three new exhibitions! School 33 Art Center is pleased to present Point/Counterpoint, a solo exhibition of paintings and sculptures by Lotta Art 2013 Best in Show winner Jim Hillmann. The sculptures are made of fabricated (plasma and laser-cut) steel and are often painted with automotive paints. Hillmann began making metal sculptures in 2006. They are explorations of form, scale and color and the motifs and gestures in the work reference architecture, the figure and nature, although the artist prefers to allow the viewer to come to their own conclusions as they view the abstract forms. This is Jim Hillmann’s first solo exhibit. The term coverture can refer to both a woman’s legal status after marriage and to a protective or concealing shelter. Billotte describes her work as “visual songs of different psychological states of mind.” Coverture, an installation made of steel, monofilament, MDF and ceramics, is a physical space that can be entered and navigated. Within the installation the artist bombards the viewer with hundreds of suspended bright red ceramic cherries, at once obvious and subliminal. We hope to see you at the opening of these three exciting new exhibits on November 8th! 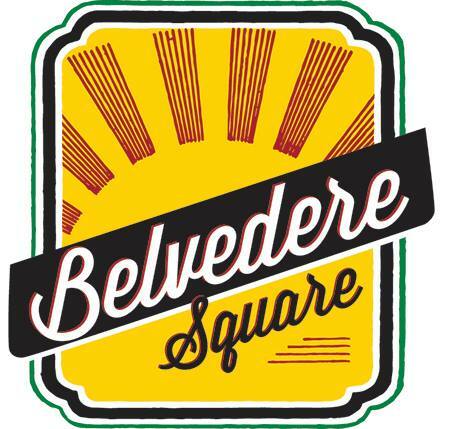 Belvedere Square, north Baltimore’s premier shopping destination, seeks artisans and artists to participate in its outdoor, day-long Holiday Market at the Square on Saturday, December 7, 2013. The Holiday Market promises to be a highly successful event attracting hundreds of shoppers; each week more than 1,000 customers visit the Square on East Belvedere Avenuenear the historic Senator Theatre. Artists must submit an application by November 10, 2013. The fee for a vendor space is $25. Event details and applications are available at http://www.belvederesquare.com under Events, or for additional information send an email to info@belvederesquare.com. To kick start fund raising for the Lithuanian Hall restoration fund, organizers are calling any artists, performers, and small business owners to join in as part of the performers’ line-up of the night or participate in the silent auction. Any type of media, form and creativity are welcome. Community Screens is very excited to promote our first free workshop to everyone in Baltimore, Maryland and beyond! Tell your friends, tell your family. Come engage in a lighthearted talk about media theory and learn basic tips and tricks of using Adobe Premiere. No experience necessary. We can accommodate up to 20 participants with computers that have Premier installed. Anyone who can bring their own laptop with the program installed is encouraged to do so! Don’t miss the Open Studio Tour kick-off at Highlandtown Gallery on Friday, October 18th at 6 PM! Stop by to pick up your tour map, stroll along Conkling Street to see street performers and enter to win local swag at The Laughing Pint after party! Check out the Highlandtown Gallery Facebook page for more details! The Board of the Jackson Hole Airport wishes to commission a work of art for the airport roundabout. Up to three finalists will be invited to submit a conceptual design and ultimately one artist will be selected to enter into a design and fabrication contract with the airport. A successful design will respond to the artwork should address the themes expressed in our great state’s logo and make a memorable first impression for airport visitors; contribute to the overall identity of the airport and tells an important cultural heritage story. The Phoenix Office of Arts and Culture is seeking video-based artworks that can be projected onto walls and structures throughout the cultural district in downtown Phoenix. The works should activate public spaces and pedestrian connections, and have the potential to create events along the light rail corridor. The projections will be part of “Cultural Connections,” a two-year program of free public art events and temporary installations that revitalize vacant, blighted, and under-utilized public and private spaces along the light rail corridor throughout downtown. The projects will be sited for maximum pedestrian accessibility and connectivity to cultural facilities, institutions and areas, such as Margaret T. Hance Park, Roosevelt Row, and the Phoenix Center for the Arts, to name several. This project is funded in part by the National Endowment for the Arts’ Our Town Grant and is part of Cultural Connections, a temporary art series.